Lights play a dual role in the home: not only does the level and hue of light given off set the mood of your space; the source of light itself will often be one of your key pieces. There’s a lot of fun to be had with lighting. Why settle for a boring standard lamp or overhead light fitting when you could get really expressive with weird and wonderful pieces dreamt up by truly inventive product designers? The pieces in this ideabook are all off-the-wall in one way or another (yes, even those that are technically on a wall) and should provide oodles of inspiration for bringing some personality into your lighting. 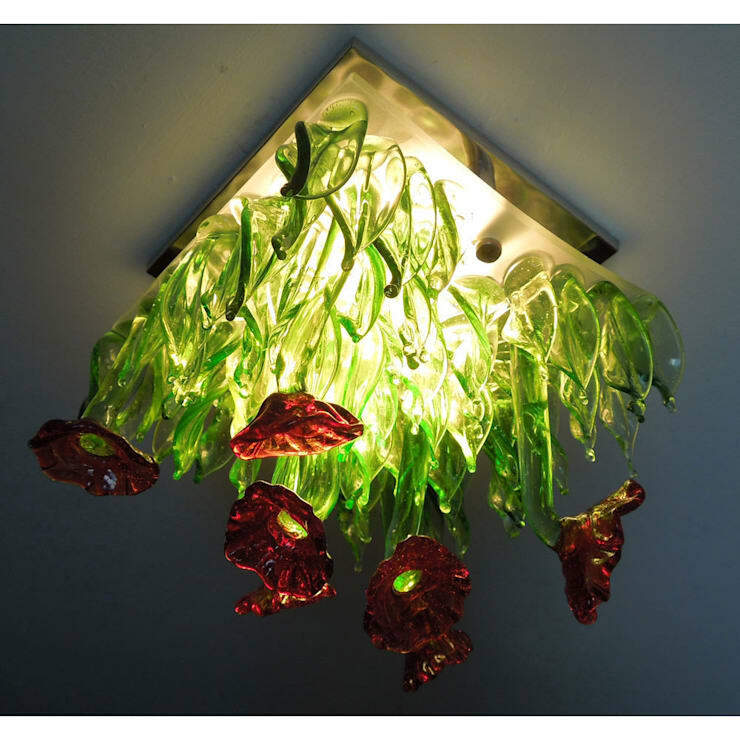 This whimsical piece must embody one of the best uses of fluorescent tubing out there. It would put a smile on the face of the grumpiest of adults, and all children would be guaranteed to go crazy for it too. 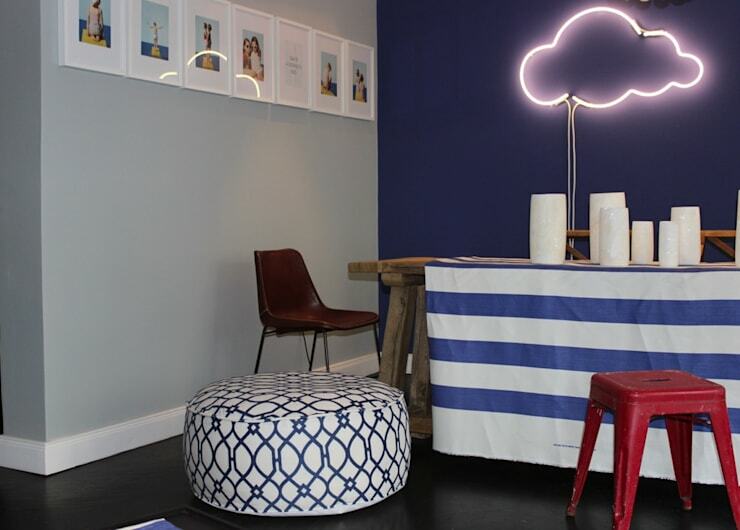 It looks especially striking in this image because of the blue wall, which makes it seem like the cloud is floating in its natural environment. It could work well against any strong-coloured background, of course – so long as the cloud’s shape stood out sufficiently. Because the light itself makes such a strong statement, the rest of the decor is almost irrelevant; but the fun, broad stripes of the tablecloth here do work particularly well. ​Why have one function when you can have three? These fantastic lamps aren’t content with just being lamps; no, they’re ambitious and they realise they can be so much more. That’s why they also have a table section, and a nature-inspired offshoot that could either be merely decorative or be utilised for hanging, for example, necklaces. They might therefore be most at home in the bedroom. The pastel shades used would provide an arresting, but subtle, pop of colour in a predominately white or neutral-toned interior. 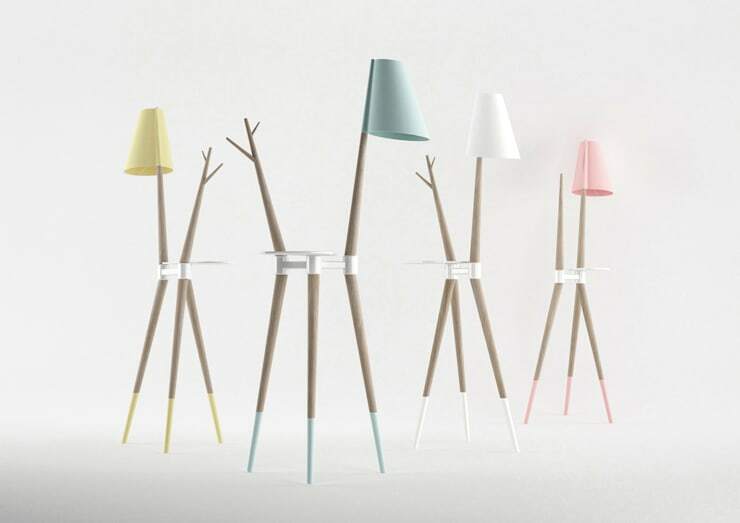 In their form the lamps are very treelike, and yet their stance also suggest something of the animal (is that a branch or an antler?). How are these lamps better? Well, because they light up, of course. And they don't have any needles either. If you don’t object everything in your bedroom taking on a bit of a green tint, one of these beauties would look very cute indeed on your bedside table. 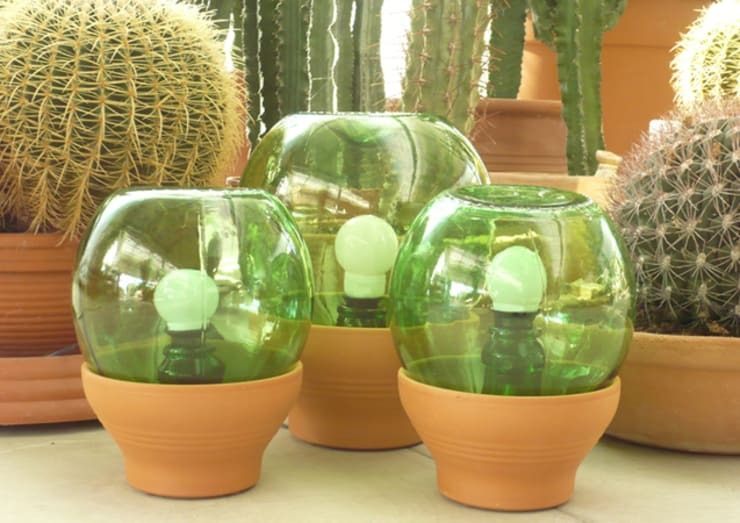 Otherwise, integrating one or more of these impostors amongst real cacti in a conservatory or on an inside window ledge would be a good way to add diversity to your plant displays. How did those get up there? Another design deriving inspiration from flora, this incredible hanging lamp puts flowers in the place where you least expect them: overhead. The effect of the light on the beautiful green and red glass of the poppies is completely magical – as is the entire concept of gravity-defying poppies. Not everyone may notice this light, because people don’t always tend to glance upward; but once they do, rest assured that everyone will have something to say about this utterly original piece. 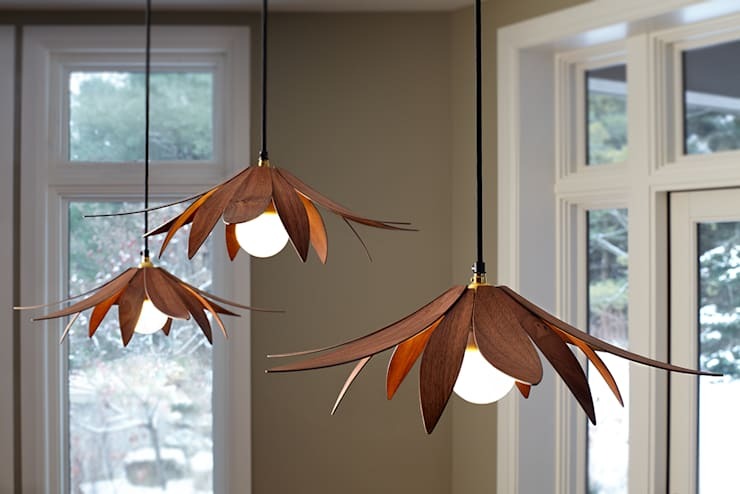 These pendant lamps are so organic in their appearance that they seem to have grown out of the house. The fact they hang at uneven heights further adds to this effect. Their form contains aspects of many different objects: inverted flowers opening their petals to the sun; sycamore seeds blowing in the breeze; and perhaps even birds or moths in flight. They would definitely look best as a set, rather than alone; these are lights that belong in a flock. How big a role does lighting play in your own home?